While researching issues with slabs on grade and expansive soils, I found this very interesting solution to building a mat (raft) slab. Originally invented by Matt Gonsalves, the boxes are still manufactured by the family’s Conco Corporation. 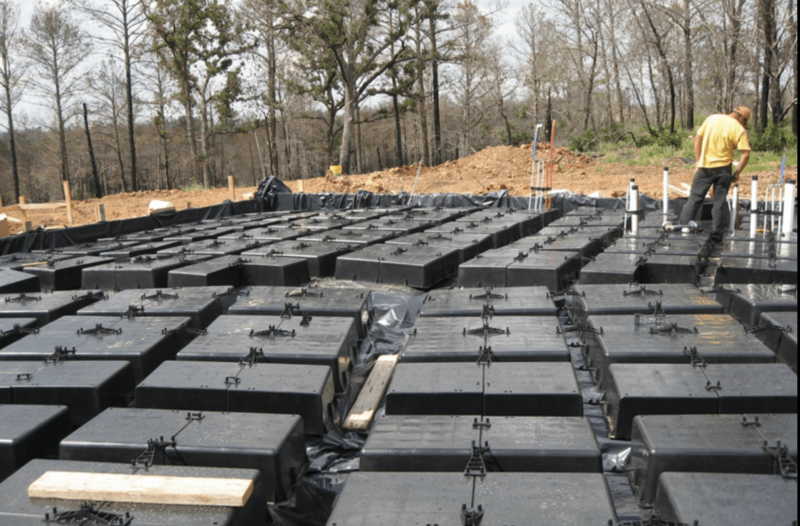 There are a few companies that market the boxes as a solution for slabs on expansive soils. Each has very extensive information about the product and its uses. WaffleMat is also mentioned in a Wikipedia article. On-Grade Mat Foundation for Expansive Soils which should be linked to the article about Shallow Foundations. Pacific Housing Systems was one of the first resources I found about WaffleMat. I was eager to read all about the product and there was a lot available. I downloaded and read about 50 documents from various sources about the system. The Conco website points to Best Base as its major distributor with tons of information on their news page as well as several articles recommended by the vendor I chose for this project. Texas WaffleMat (now AKA WaffleMatUSA) is an affiliate of Best Base located in Texas and Mexico. The Texas WaffleMat site also has a lot of information about the system, and the website has several avenues to contact the company. I chose email because I am most comfortable with that, but the sales engineer, Greg Carr, has his contact information listed on the site, he answered all of my questions almost no matter what time of day or night, and it was his expertise and willingness to help me work on my project design, that sold me on the product. This entry was posted in Construction, Moisture Intrusion/Expansive Soil, Planning. Bookmark the permalink.